Woe is me! Every time I pick up the phone and the client at the other end says "my printer’s stopped working", my heart sinks. I even despise my own printer. Expensive or cheap, they all suffer the same idiosyncrasies from being picky about what ink you use, to the type of paper or even what day of the week it is. In short; they are the biggest pain in my backside after shrink-wrapped red cabbage from Morrisons! So what are these beauties? In computing terms, a printer is a peripheral which makes a persistent human readable representation of graphics or text on paper or similar physical media (thanks to Wikipedia!). In English, they put what you see on the screen onto paper. 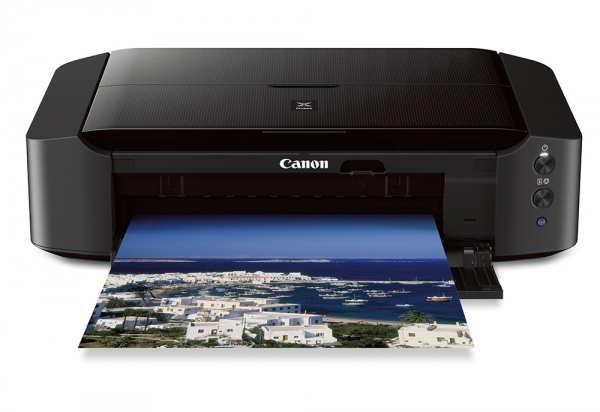 Today there are only really two types; inkjet and laser. Inkjets squirt dots of coloured ink onto the paper as the print head passes over it; they are relatively slow and, cost per sheet, expensive on ink, but good for low volume home use. They are also excellent for home printing of photographs, they don't require any warm-up time but are prone to drying out if not used regularly. Cheap to buy! Laser printers fuse coloured powder onto the paper with heat, they are fast and much cheaper on consumables per copy in a high volume environment. However they can't use special papers for photographs, can take several minutes to warm-up for the first copy, but will print perfectly after months in a cupboard. Historically they have been relatively expensive to buy in comparison to an inkjet, but they continue to become cheaper. A few words about paper; All printers like crisp, clean, dry paper that is neatly stacked and available to be drawn into, and spat out of the printer with the minimum of fuss. They don't like dog-eared, previously used, crumpled and damp paper. It'll get stuck in the middle somewhere and that'll be the end of your printer when you stab at it with a knife like when you try to get stuck bread out of the toaster! Should you buy cheap replacement ink & toner – I do! The cost of a set of genuine cartridges for an inkjet can be almost as much as the cost of the printer itself, however it carries a risk in that if your printer is still under warranty then it is invalidated if you have not used genuine ink or toner. I could never "recommend" you do it, but I consider the risk to be worthwhile as the savings can be huge … Terms and Conditions apply!! So what are you to do? I always say, "spend as little as possible, and replace as often as necessary". If you've only spent £34.99 on a printer then it's not really worth worrying about if it breaks down after your year's warranty. There is nothing to mend in a printer, you just throw it away and get another one. Always spend a little time uninstalling the old one from your computer first, then carefully follow the instructions provided by the new one to get it setup properly right away.